When people of faith find themselves in desperate situations, they look to God for a sign, a miracle, or some word of comfort. Once, during Israel’s War for Independence, a Bible literally did drop from heaven containing a message of hope and encouragement for Jewish soldiers in a desperate situation. In May of 1948, the British government gave control of the Galilean city of Safed (Tzfat) over to the Arabs. The city’s small Jewish minority immediately came under siege. The Arabs began a relentless attack against the Jewish quarter. They promised to slaughter all the Jews in the city, and the Grand Mufti planned to make Safed his capital city. Palmach commander Yigal Allon proposed a bold plan to rescue the city through a military operation the Haganah referred to as Operation Yiftach (named after the heroic biblical judge Jephthah and his exploits in Judges 11). As his special forces launched Operation Yiftach against Arab strongholds in Safed, Allon received an urgent message from the nearby settlement of Ramot Naftali. Arab forces were attacking the small moshav and threatened to overrun the community’s defenders. The Arab army had brought in a heavy piece of artillery, and they were using it to shell the settlement. The defenders said they could not hold out long. They needed assistance immediately. Allon faced a difficult dilemma. He feared that, if he divided his forces to send help to the defenders at Ramot Naftali, he would not have sufficient numbers to mount the attack against the Arab forces holding Safed. A rescue mission to Ramot Naftali could derail the entire operation and jeopardize the besieged Jewish Quarter in Safed. Allon had a difficult decision to make: save the Jews of Safed or save the people of Ramot Naftali. He told the people of Ramot Naftali to hold out as long as they could with whatever they had. He hoped that by pressing the attack against Safed, he might draw the Arabs away from them. The men of Ramot Naftali were trained fighters, but they did not see how they could possibly hold their position, especially when the Arab army was employing such heavy artillery. 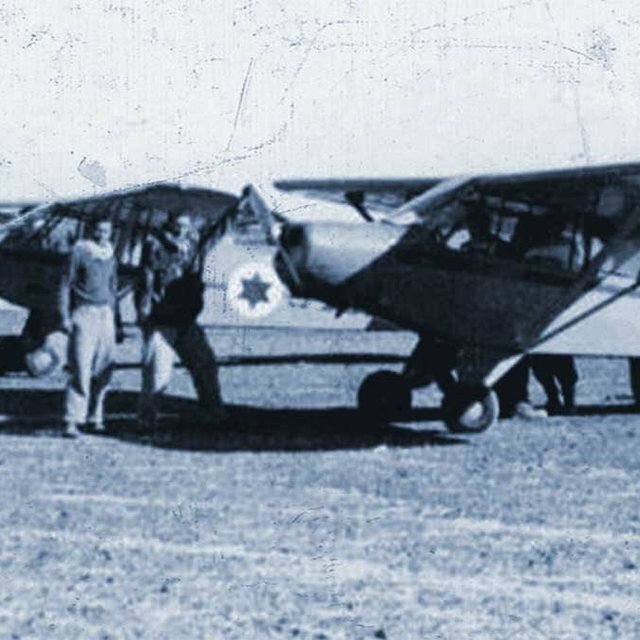 They asked for permission to abandon the moshav, but Allon insisted that they stand their ground and fight on as long as they could. He knew that they might not survive, but he warned them that, if they abandoned their post, he would treat them as deserters. Some of the settlers defending Ramot Naftali had previously served under Orde Charles Wingate, a famous British war hero, Bible-believing Zionist, and leader of early Jewish forces in Israel. Wingate had been a devout Gentile Christian. He’d had a reputation for consulting his Bible for battle strategy. He had considered himself a modern-day Gideon, and he had been convinced that God was fulfilling Bible prophecy by bringing the Jewish people back to the land. 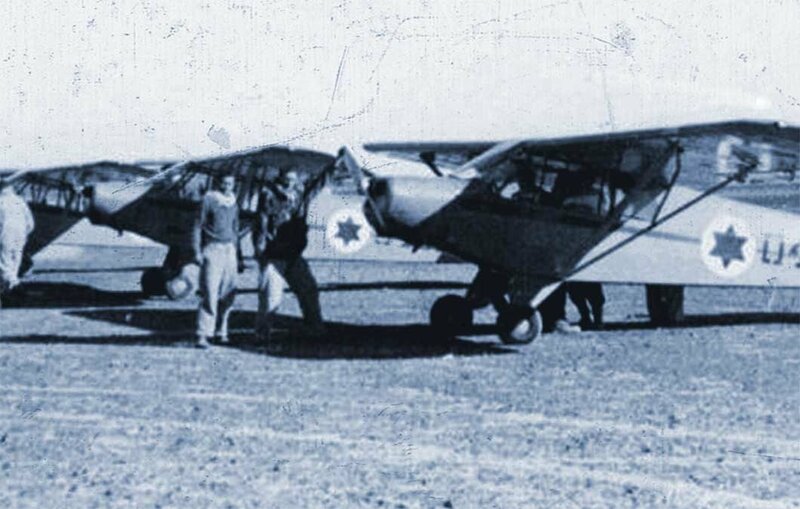 Before World War II, Wingate had helped the Jewish community in Palestine by training Jewish fighters to strike back against Arab insurgents and saboteurs. He had helped organize and train Jews into the first Jewish army since the Second Temple Era. Those forces had evolved into the Haganah and the modern IDF. Even Yigal Allon himself had received his training under Wingate. Unfortunately, Wingate had died in a plane crash in 1944. He was not there to assist the Jewish people when the War for Independence broke out. Some of the men whom Wingate had trained in Palestine had helped establish the small outpost of Ramot Naftali. In May of 1948, those men faced almost certain death as they prepared to defend their position against overwhelming odds. Yigal Allon wanted to send them help, but he knew that doing so would jeopardize Operation Yiftach and the battle for Safed. He did consent, however, to send a few small planes to conduct air drops consisting of supplies, ammunition, and weapons. Orde Wingate’s widow, Lorna, heard about the desperate situation her late husband’s men faced at Ramot Naftali. She also heard that, except for a planned air drop, the men had been more or less abandoned. She decided to do what she could to help by participating in the air drop. She joined the pilot of a Piper Cub plane dropping supplies. As they circled the settlement, she dropped a special parcel to the men who once served under her husband. The parcel contained her late husband’s Bible. The men of Ramot Naftali retrieved the parcel, opened it up, and recognized the Bible. It was the same Bible they had seen their late commander so often consult before leading them into battle. They remembered how he had often read aloud to them from that very Bible and how he had formulated his battle strategies from the stories within it. The soldiers also found a personal letter of encouragement, faith, and hope from Mrs. Wingate tucked inside the Bible. They took courage, and they held their ground against the attacking forces. Meanwhile, the Palmach began their assault against the Arab forces of Safed. The first assault failed to take the city; the Arab forces were too well entrenched. Allon wondered if he had sacrificed the men of Ramot Naftali needlessly. As he scouted the area to plan another assault, he noticed that the sound of Arab artillery shelling Safed had changed. Unlike the whistle of mortars that the Palmach forces had been hearing in Safed’s Jewish Quarter up until then, this new sound was clearly made by the same artillery piece that had been hammering Ramot Naftali the day before. Allon realized that his plan had worked. By keeping his forces united and concentrated on the battle for Safed, he had drawn the Arabs away from Ramot Naftali and turned their attention to Safed. The men of Ramot Naftali were saved. Moreover, in the next assault, Allon’s forces liberated Safed and saved the besieged Jews of the Jewish Quarter. Wingate’s men held on to their position at Ramot Naftali for the remainder of the War of Independence, and they held on to the Bible that had dropped to them from heaven. The story of the miraculous Bible from heaven did not involve anything supernatural, but to those who received that Bible, it seemed like a divine intervention. Wingate’s Bible is now on display in the Beith Shturman Museum at Kibbutz Ein Harod, a tangible reminder of the power of God’s word and the certainty of his promises regarding Israel. Anita Shapira, trans. Evelyn Abel, Yigal Allon, Native Son: A Biography (Philadelphia, PA: University of Pennsylvania Press, 2008), 192-198. Lt. Col. Netanel Lorch, The Edge of the Sword: Israel’s War of Independence, 1947-1949 (New York, NY: Putnam & Co., 1961), 100-105. Dr. Micha’el Moshe Tanchum, “Lorna Wingate: Christian Woman of Valor in Israel’s Time of Need,” CUFI, winter 2013, 10-11. Adapted from: Messiah Magazine #14, First Fruits of Zion, 2016, written by D. Thomas Lancaster. 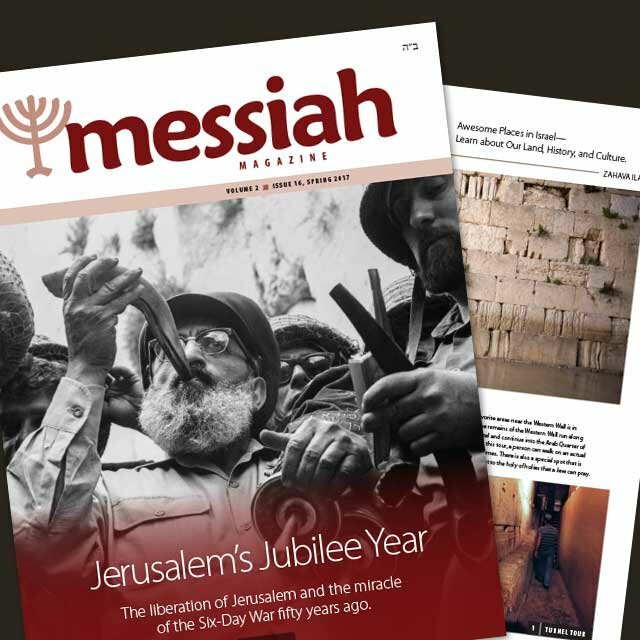 We believe the valuable content in Messiah Magazine will be a source of great inspiration and growth in your spiritual life. That is why we have decided to make it free.